The red-alert issued by Beijing was lifted today as shifting weather patterns improved air quality for the first time in weeks. Although the world’s focus was on China’s skies, a dense smog is currently rendering India’s cities unrecognizable—and it’s way more dangerous. Last week, Delhi announced drastic emergency measures to reduce air pollution. Starting January 1, it will enact strict emission guidelines and only allow cars to drive on alternate days according to license plate numbers. Although that may not alleviate the problem: About 1,400 more cars take to Delhi’s streets every day. Where Beijing’s pollution is mostly due to its idling vehicles, India’s also includes soot from wood-burning stoves and the widespread practice of burning of leaves and garbage, making for a dense toxic soup. 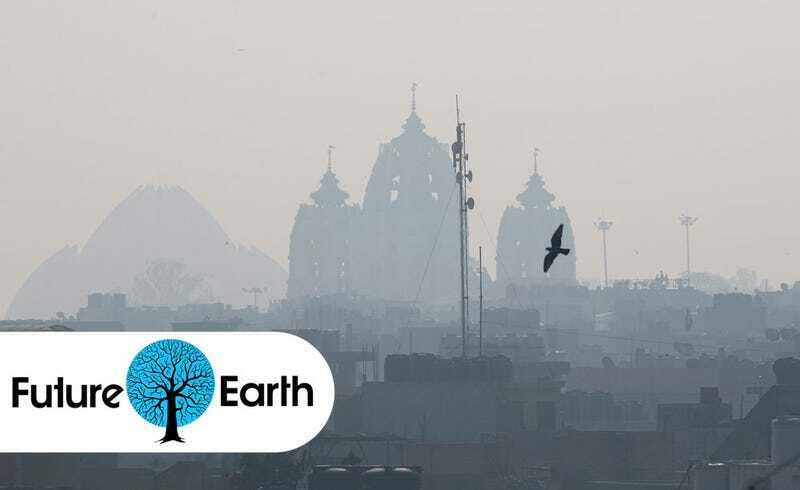 Last year India’s air was named the worst on the planet by the World Health Organization, and a study earlier this year showed that about half of the children in Delhi have irreversible lung damage. Although the emergency measures seem drastic, even the alternate-day car restrictions probably won’t do much, as Tanvi Misra points out at CityLab. Most Indian cities don’t have the budget to enforce the ban, and people seem to find a way around it (other countries with similar rules have seen residents buy a second car to skirt the restrictions). Plus there isn’t the public transportation infrastructure in place to help people get around, and many women don’t feel safe riding the system that exists. Perhaps more promising is a statement from the Indian government that says it will close down a coal-firing power plant in Delhi, part of a long list of reforms which the country is making as part of the COP21 summit. Change can’t come soon enough for India’s one billion citizens at risk.